A Long Way to a Small Angry Planet is a fun adventure story about finding yourself, love, and loss, and it introduces you to the Wayfarer universe, which is diverse and fun and interesting. A Closed and Common Orbit is about who gets to be people: slaves, weirdoes, machines, or everyone. We come to Record of a Spaceborn Few, which takes place in the same universe on a fleet of generation ships. Humanity has spread to the stars (joining the galactic civilisation along the way) and a few scattered remnants choose life on their ships having reached no destination, orbiting a sun without planets. 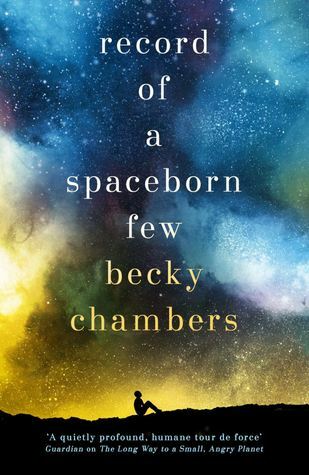 Chambers twists yet again, telling a small story of a few lives which is, in the grandest traditions of science fiction, completely different and disconnected from earlier Wayfarers books. It’s about what it means to be humanity, to be a community, and to find purpose and belonging.